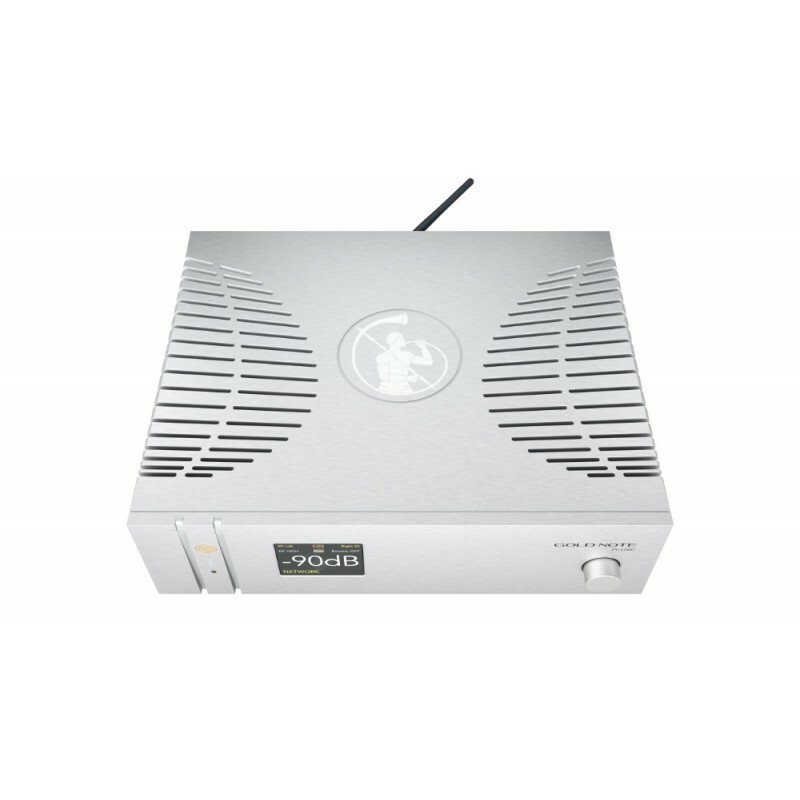 IS-1000 is an advanced fully integrated amplifier that redefines the way music playback is experienced, seamlessly merging a Preamplifier, a Power Amplifier, a Phono Stage, a DAC and a Streamer in a unique and complete source. 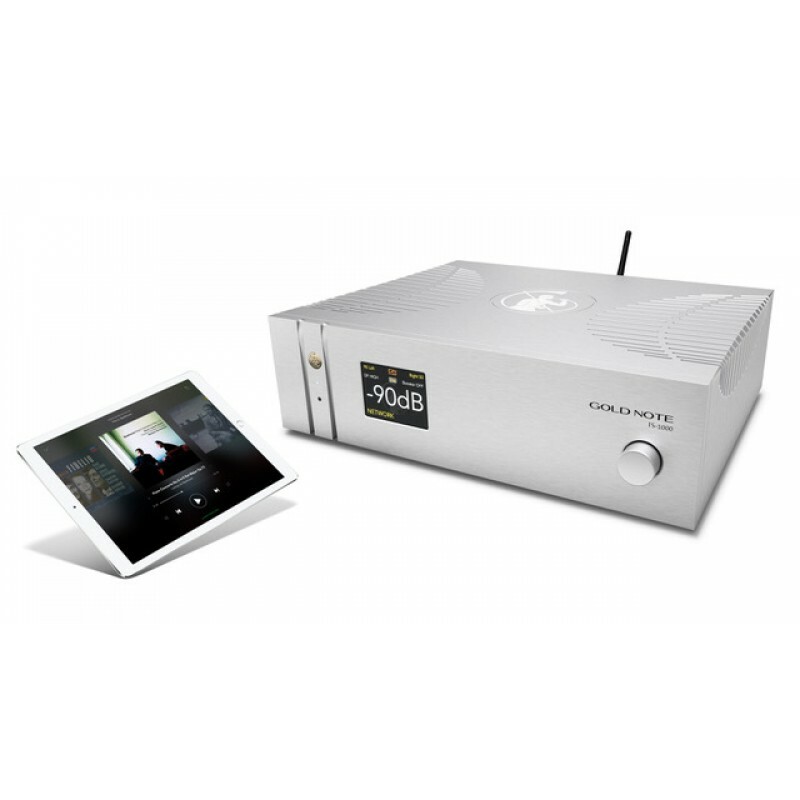 Gold Note IS-1000 is a Roon Ready device, fully compatible with multi-room systems and with a quick plug & play installation: simply plug IS-1000 to the main A/C, connect it to the network (Wi-Fi or Ethernet) and to the speakers, then explore the endless possibilities of music, streaming from Tidal & MQA via Tidal, Qobuz, Spotify & Spotify Connect and Deezer with Roon or the Gold Note dedicated App [available for iOS and Android] or browsing your collection of digital music stored on NAS, HDD and USB sticks - including DSD64 format. 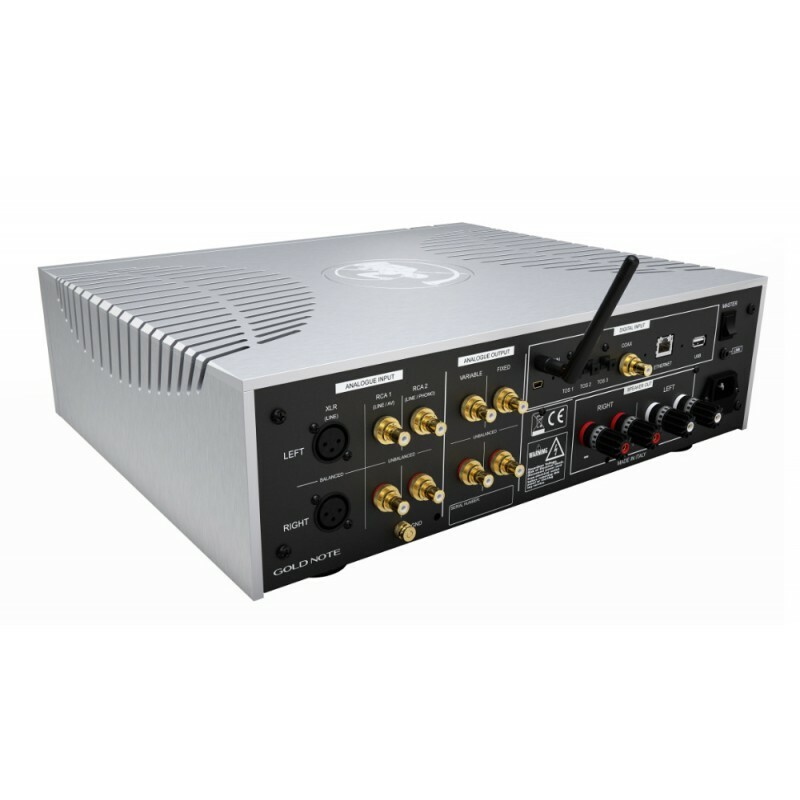 The new Class A/B amplifier with 120W per channel developed exclusively for IS-1000 guarantees vivid dynamics, the pure sound and finest detail while also offering a wide range of digital and analogue inputs (including A/V and Phono MM/MC) to assure total control and the freedom to upgrade, expand or connect more devices to the IS-1000. 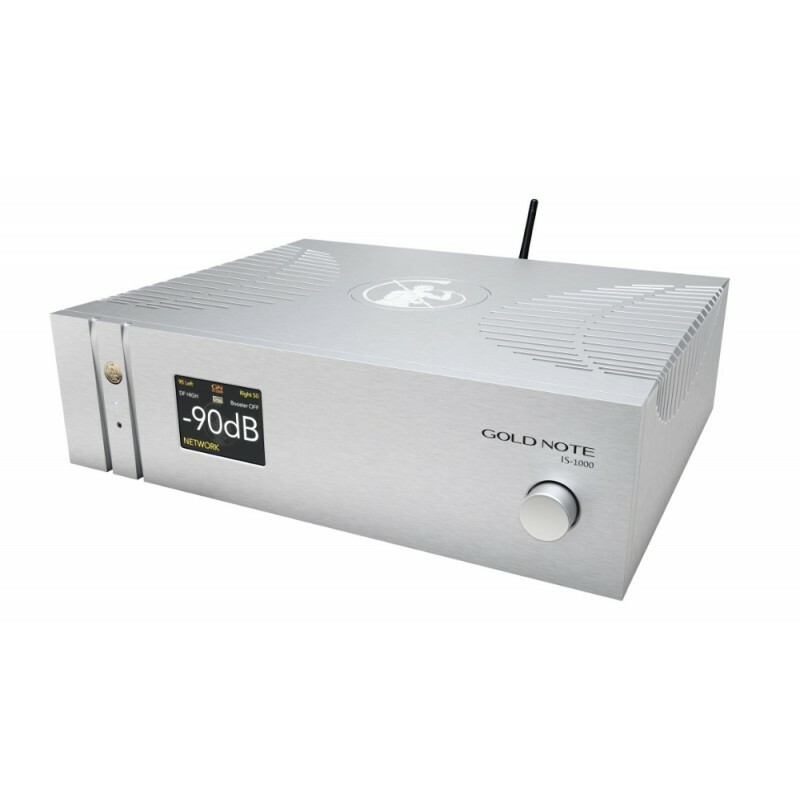 GOLD NOTE IS-1000 All In One Integrated amplifier review by " TONE Audio " Magazine Review, 2019. Product Of The Year Award! GOLD NOTE IS-1000 All In One integrated Amplifier review by " HiFi Choice " Magazine, May 2018. Recommended Component!